In a recent discussion on LinkedIn over contactless payments, I’ve realized this is a missed opportunity for the mobile providers, when you think of it. If you live in a major city center, like London, it’s fairly easy to find a shop which accepts contacless payments, but when you go outside the M25 is common to find shops (or public transportation for that matter) that don’t have contacless, yet some of those don’t even accept card, just cash. On the other hand we all know Square and how easy it is to get their terminal and overcome all those VISA/Mastercard payments and processes, but wouldn’t be easier if actually mobile providers could do that? Today all mobile providers have their own payments infrastructure in place – they were one of the first in the world to have it, and they have network almost everywhere. 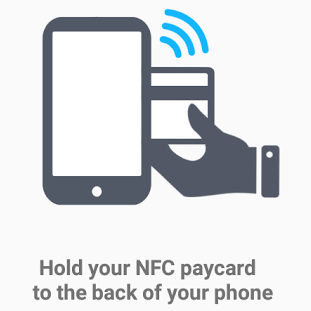 So, having an android phone/gadget that can read NFC (therefore contactless) and is integrated into their payments system, would be an easy task and service to provide to shoppers. This would give shops the ability to have a contacless payment terminal, in a easy and cheaper way. Even better, would bring more revenue to mobile providers, since payments would use their infrastructure. This would then be linked to a SIM card and account to hold funds. Would this solve the cashless payments? Probably not. But could bring to any shop with an Android Phone and SIM card, a cashless terminal.